Cass County Public Library recently released their annual report for 2018. In 2018, the library made many changes and upgrades to library services. With 6 locations, a Bookmobile, and a Genealogy branch, these changes impacted residents throughout Cass County. At the beginning of 2018, the new website was unveiled. The site was built completely in-house, and offers patrons a revitalized online experience. In the Spring, the library switched to Voice Over IP for phone service and Google for email services. In April, thanks to grant funding, every branch added software to manage computer sessions, including the added security feature of clearing the computers after patrons log off. Patrons can also print wirelessly with this upgrade. The biggest change and upgrade came in August, when Cass County Public Library left the Kansas City consortium and joined Missouri Evergreen. 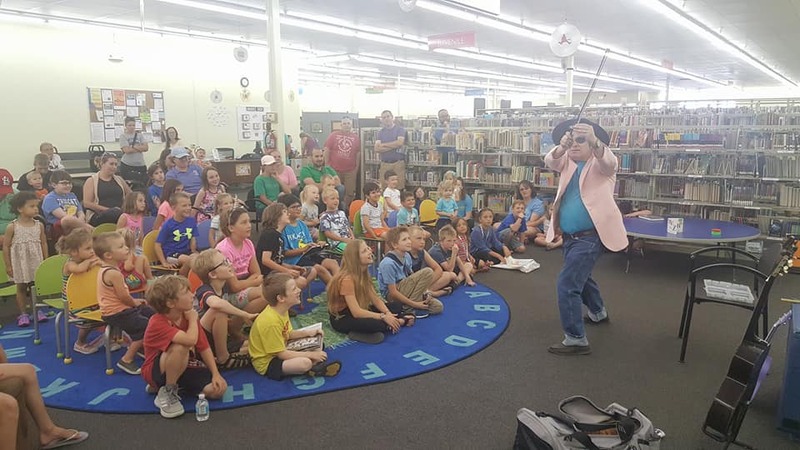 This gave patrons access to over 3 million items from 45 libraries across the state of Missouri, with the added bonus of saving nearly $50,000 annually. With Google and the Internet, who uses the public library anymore? In 2018, CCPL had 186,426 in-person visitors. Over 32,000 people attended events, 55,000 used a library computer, and nearly 24,000 researched topics or improved skills, including 364 patrons who learned a language or studied for citizenship. In 2018, CCPL’s website had over 716,000! In 2017, the website had 212,000 visits. 25,000 children attended over 1,000 events in 2018. Each branch hosts at least one early-literacy storytime every week. Nearly 2,000 teens attended over 200 events in 2018. We had the highest participation for Summer Reading in 2018 than any other year. Almost 4,000 people participated. Our Summer Reading Program could not be possible without the generous donations and sponsorships from area businesses and individuals. Over 125 helped provide reading incentives, events, and special performances. Every year, we strive to provide residents and taxpayers a worthwhile return on investment. In 2018, CCPL provided $13,249,000 in library services. For every $1.00 of tax revenue, the library provides $5.79 in services. Thanks to donations, grants, and the support of the community, your library was able to add and upgrade services that benefited the entire county. ← It’s Tax Season Again!